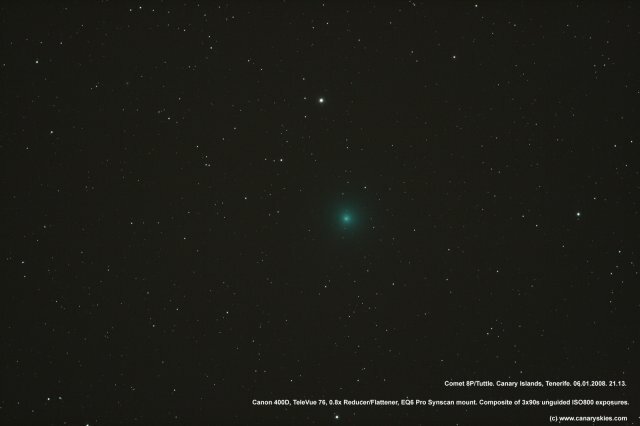 Canaryskies.com Photo Gallery by Max Anderson - January-March 2008 /Comet 8P/Tuttle. Canary Islands, Tenerife. 06.01.2008. 21.13.